Workcamps are the most common form of short-term volunteering, where a group of volunteers work and live together on a project which has been identified by Volunteers for Peace Vietnam and our partners. 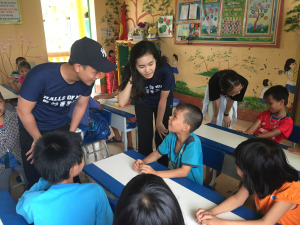 VPV workcamps generally last for 2 weeks and are fixed in terms of time according to the annual workcamp plan of the organization; but usually, there are more camps in summer time (June-August) and spring time (December-January). International workcamps bring together volunteers from different countries and background aiming at building up international understanding and therefore encouraging peace while working for an identified need of the local community. Workcamps’ sizes vary between 10-20 participants. Group program is based on workcamp program but is for volunteers from a same organization, school or company and often from a same country. Different from workamp, each group can decide the time and the duration of the program. The size of each group can go up to 40 participants. For all workcamps and group programs, VPV always has its own coordinator who acts as workcamp leader in each camp. Besides that we also have 3-5 local volunteers who receive a half day orientation so that they understand their role and responsibilities for the project. 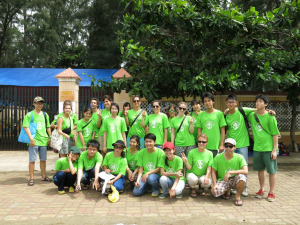 All work alongside with international volunteers to make sure the group has good atmosphere and dynamic. The fee should be paid in cash upon volunteers’ arrival and is used to carry out and ensure all the elements of the programs (mentioned above). For group program, different fee will be applied to groups depending on each group’s duration and type of work. The group should transfer the program fee in advance to VPV’s bank account.